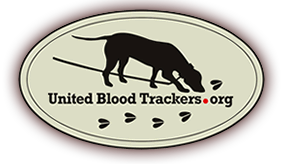 One of the goals of the UBT is to assist individuals within non-tracking states to change the laws and regulations in their state to allow for the use of Blood Tracking Dogs. The use of Blood Tracking Dogs has always been legal in most of the Southern States but in the late 1800’s, most of the Northern States outlawed dogs in any way associated with deer hunting which included Blood Tracking. In the past 25 years 15 Northern States have legalized the use of LTD for the recovering of big game. New York State got it all started 25 years ago and 9 states have gone legal in just the past 4 years. Check our state regulations page if you would like to check if Blood Tracking is legal in your state. If you are looking for help in getting blood tracking legalized in your state, contact us and we will be of as much assistance as possible. Each state has its own individual process for changing the game laws and regulations. Below you will find a few examples of how it can and has been done. Most commonly it is but 1 or 2 motivated individuals within a state that can make things happen.